Nintendo released an exclusive controller for the WiiU Pokken Tournament game. Unfortunately, it is the ONLY WiiU game that the gamepad supports! An irony considering the amount of Wii Virtual Console games and the controller having a solid SNES feel about it with "Dual Shock" hand grips. However, since many USB game controllers can be easily adapted for gameplay on the PC, the Pokken Pro Pad is a natural for PC emulated console games. Of note, a keyboard driver such as Joy2Key must be used to fully enable the controller for the PC games. Gamestop apparently doesn't have a SKU for used Pokken controllers, so it gets labeled a Wii classic controller. I'd call this a decent savings, so I bought this one. I plugged it into my PC, and now I have a really nice controller for SNES emulators. I fired up ZSNES and played a round of Super Castlevania IV. This Pokken controller has really solid build quality. I don't say this lightly: This controller is possibly superior to the real SNES controller. No doubt. This controller has supplanted the Microsoft sidewinder as my favorite emulation controller. So why all the interest in just a gamepad when there are already so many PC gamepads out there? Considering the manufacturer is HORI and is backed by NINTENDO, you know the build is top quality. The PC has the largest options for emulation as well as many platform games that can use a decent "console" gamepad. The WiiU Hori Pokken Pro Pad replicates the original Japanese Arcade Pokken Tournament controller. The Pokken gamepad plugged into the PC USB port kicks in a Windows online search for the driver. The driver after an extensive search, downloads and automatically installs. I really wish there is a simple way to right click save an auto searched download driver for future installs when online support goes away. After the controller driver sets up; the Pokken Pad is detected as a 13 button controller with Analog Stick, Throttle, Rudder and Hat Switch. Quick, what Arcade Panel is my PC Wallpaper? - There is a reason why I like the panel in a Quote further down. Turns out the Pokken direction pad acts as a hat switch and NOT the standard Analog X/Y Axis required by most games! At first, this seems to prevent the Pokken Pro Pad as a viable PC game controller. Ah, JoyToKey to the rescue! Note that unlike the older JoyToKey mentioned in the Limbo Thread, the newer version 5.8.2 must be used. It has more features, multiple controller capability and now includes Hat Switch support needed for the Pokken Pro Pad. JoyToKey (or Joy2Key) enables PC game controllers to emulate the keyboard and mouse input, so that windows applications and web games can be controlled with your favorite joysticks! 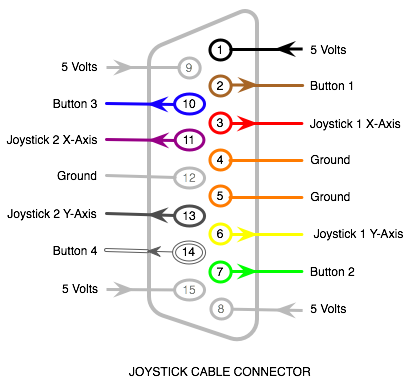 Whenever joystick buttons and sticks are pressed, JoyToKey converts them into keyboard strokes and/or mouse movements so that the target application will work as if you are using a real keyboard and a mouse! Since I had already setup another controller, JoyToKey detected the Pokken Game Pad as Joystick 2. Not sure if it was the second controller detection or something in the Pokken Pad that hides itself to controller 2. In the screenshot below, I setup custom controls for the game Limbo. This game is very well done and there is a DRM free version. I have a separate Thread reviewing the game Limbo. The game Limbo defaults the up direction as both climb up and jump when using the keyboard. This sometimes is tricky when timing a jump over a moving platform. I added the up direction to two of the action buttons as a jump. Only one action button (CTRL) is used for pushing or pulling objects; it gets the other two of the main buttons on the gamepad. Limbo will not work pick up the Pokken Pro Pad as a game controller due to the Hat Switch conflict. JoyToKey provides an easy solution and goes better with a customized controller option. CRTGAMER wrote: To add versatility in direction control, I also enabled the Triggers for left and right movement. This offers a tighter quicker control depending on the phase of the platform game. The trigger movement also works well for bottom scrolling SHMUPs and Tetris style games. 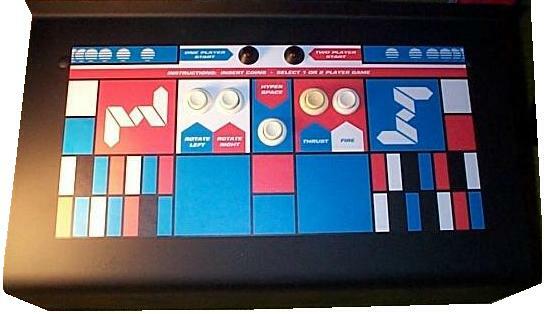 This puts the sideways movement control at individual fingers instead of the thumb similar to Retro Arcade Cabinet games such as Asteroids. The game Menu uses the CURSOR, RETURN and ESCAPE keys. The DPad already controls the cursor so I incorporated the gamepad four small buttons for the other two Menu key controls. This puts the entire game control including exiting a level all controlled thru the Pokken pad. This is that rockfire adapter you spoke of right? 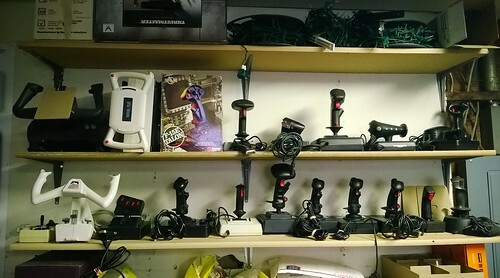 I see almost every single time I hit goodwill an old style joystick or game pad. They not so surprisingly do have a little resale value, some a lot. I'd think maybe at the worst getting the adapter just to test the things out with be cool, but in the case of finding just the right one for nostalgia reasons perhaps (like the old gravis game pad), or the old black flight stick joystick with the red trigger and top buttons I used with Wing Commander around 1991 would be wicked. I know I posted this in that other thread about best retro controller options but this just had to be here to bump this too. Tanooki wrote: This is that rockfire adapter you spoke of right? That is the one, not a bad price when you consider all the older game port controllers to discover in the thrift stores and swap meets. Most can be bought for under five bucks due to an older connector not supported in modern PCs. The adapter works very well on its own with Windows auto detect as a USB PC controller. Add a utility program such as JoytoKey expands on additional control options.